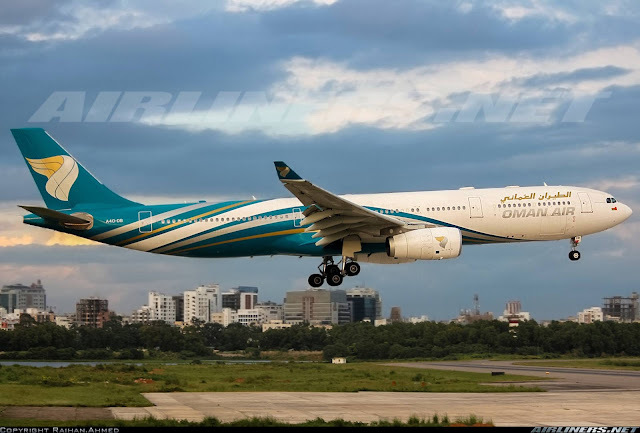 Welcome to my return trip on Oman Air! I deliberately booked a return trip with Oman Air even though the departure at KUL was very early in the morning is to enjoy more of the airline's service, taking window shot photos and to fly the Airbus A330-300. My previous flight was operated by an Airbus A330-200, you can check out that trip report over here. 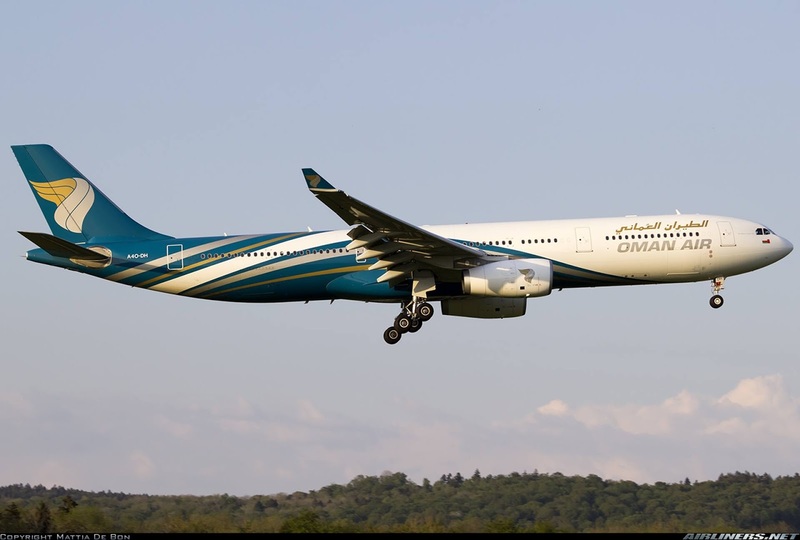 Oman Air is certainly one of the top airlines around and after flying on it for the first time, I was deeply impressed with both in-flight service and cabin. The return flight was chosen and I got the Airbus A330-300, the old cabin so I didn't get to sample both old and new cabin but from what I heard, the old cabin especially in the J clacss is a better. 1-2-1 vs 2-2-2, no-brainer right? Since my flight was at such early hour, I decided to forfeit my stay in Central KL, checked out at night and headed to the airport to stay at the Capsule Hotel to try it out, its located at Level 1 of KLIA 2. Here are some photos of it. Suitable for single travellers - I chose the mixed cabin and I paid around 80RM plus S$20 (They accept your local currency for deposit) for the 6 hours. There are male, female and mixed cabins, you can choose whichever type you want and the price is still the same. Many were vacant when I was there. You can either pre-book or book your space over there depending on vacancy. That's how small it is, but I had a few hours of good sleep. Power point is important and this little space has it. The lounge at the hotel, suitable for gathering. There is locker for everyone so if you need one, remember to ask for the key. Lying comfortable on my bed with some privacy. I woke up at 5 am and made my way to KLIA by the KLIA Express Train. The first train depart from this station is at 04.55, the next one is 05.15 and I took that train. The journey between both terminals is around 5 minutes so its quite close by and the fee is RM2. Better than taking the bus which is another option. The train was pretty empty when I took it from KLIA2, only a few passengers were making their way to town, but at KLIA there were more passengers including Malaysia Airline's staff boarded the train. It takes around 28 minutes to get to KL Sentral. Its comfortable and convenient. Looking at my flight details, I made my way to the check-in counter, to drop off my baggage. I have done my check-in the night before. This was how empty the terminal was. There were quite a number of passengers ahead of me and the worst thing is they had so many things with them. Fortunately for me, the business class staff called me over and I got my boarding pass within minutes. Got my lovely boarding pass and soon I was on my way to the air side. Finally get to fly on Oman Air after many years of admiring the livery from the viewing mall. Checking the schedule of my flight, I was to head to Gate C1. My ride: A4O-DB, the oldest Airbus A330-300 in its fleet. 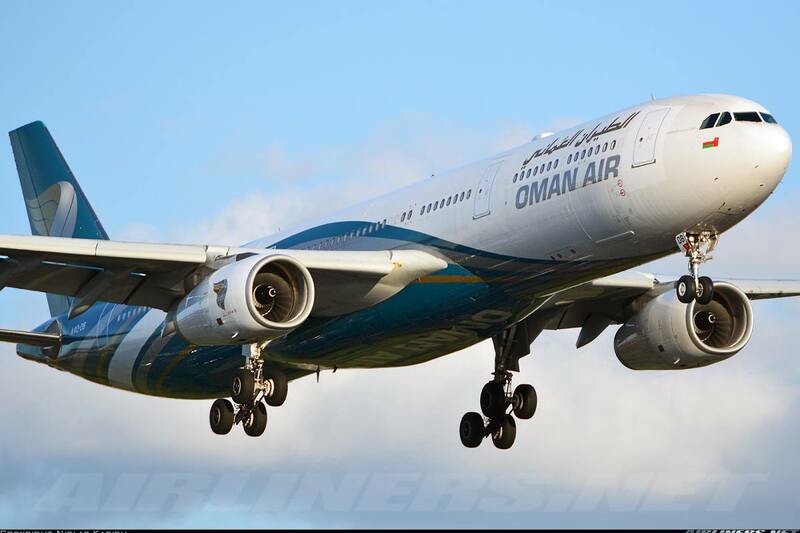 Oman Air's crew were spotted that means it would take a while more before boarding takes place. Boarding started quite early, was greeted by the not so enthusiastic crew this time, the crew on my previous flight were much better. I got to my seat 21K which is the 2nd row of the Economy Class seats just behind the Business Class cabin, I took it so that I could take some nice photos of the wing and the scenery. Here are some photos of the cabin, didn't take many this time. Once again, I had the seat beside mine vacant. Same cabin interior as the A4O-DG, Airbus A330-200 which took me to KUL. While taking the photos after the flight, one of the crew walked passed me and gave me a weird look, was that really needed? Here are some more photos of the business class cabin - the interior is certainly one of my favourite. I gave the business class seat a try while waiting to disembark. I find it to be quite comfortable and spacious. Every seat gets an aisle access. The adjustable buttons, only to be used after take off and before landing. The magazines and safety card are located at the side of the seat, its easily reached. Without the overhead in the middle, the cabin certainly looks more spacious. This set of crew was average and the one that gave me a weird look ruins it for me. So it all depends on your luck when it comes to the type of crew you get. Short flight this may be, but still professionalism is still the top priority, the crew has to remember that. Treating this person nicely and another not so nice, is simply not right. Some of these crew's mentality have to change. In-flight Wifi was available on my short flight, here are some photos and the price list. Strange enough, the airline didn't order Airbus A350 or perhaps its a hint that it may do so? The price is in U.S Dollars, quite expensive if you ask me. I have no idea about the connection speed since I didn't use it. Since its a day flight, I was able to take window shot photos! Here they are, please enjoy! The weather is certainly beautiful and great for flying. The well rested Airbus A330 got its engines started and we were on our way to runway 32R for departure. Beautiful colour of the sky, don't you agree? Passing by the very first Boeing 777-200 in the world, B-HNL of Cathay Pacific. Salute to this aircraft! Malaysia Airlines Boeing 777-200ER was behind us. My favourite photo for this trip! Flying in such a good weather offers good photo opportunity . The short flight came to an end very quickly, I wish it could go on longer, perhaps the ATC (Airport Traffic Controller) could place my aircraft on holding pattern for a while longer! Very soon, we entered some nasty clouds, but the turbulence didn't last long. We got out of it after 5 minutes or so. The contrast is pretty nice, don't you agree? Good weather once again, turbulence at this point stopped and it was smooth all the way. Descending has started, we were placed on holding pattern for a while, before clearing us for arrival. The sight of Singapore appeared and soon we touched down early on runway 20R. And that was it, my short trip has come to an end. Oman Air's old Y and J class are absolutely fine to me, the change could possibly be because of adding more seats to J class and at the same updating the interior since it has been around for quite sometime. Disappointing for some of us but that's the way it goes. I hope to try the new products one day. Feedback from my friend that the old J class is probably one of the best they experienced so far. This airline with a better network and more frequency to popular places would give the trio (Qatar, Emirates and Etihad) a run of their money but for now its flying under the radar of these 3 airlines, along with Royal Jordanian. Both carriers have decent products and I recommend them especially on 5th freedom routes. Thanks for reading my trip report. Hi, I will taking Uzbekistan Air and Oman Air during the Chinese New Year. I received my comfy tigon booking and it's shown that they will be landed on Terminal M. I'm confusing that which one is terminal M ? Is it KLIA or KLIA 2 ? Both airlines are operating out of KLIA1. KLIA2 is for Malindo Air and the Low Cost Carriers. Bravo! I am flying with them on this coming xman! And, next year i have a flight to jeddah by Saudia~ hope see your review on Saudia oso! Thanks bro!